As always when we work on new integrations, we look at what devices are popular in the NEEO community. I am happy to announce that the HDMI CEC based driver for Nvidia Shield TV has been published in today's release 0.51.13. You no longer need to get any additional devices like IR-receivers. Simply connect your NEEO Brain to your setup using HDMI and add the "Nvidia Shield TV" device through your NEEO App. We already received great feedback for HDMI CEC drivers in use such as FireTV - thanks for that! Your NEEO Brain needs to be connected with an HDMI CEC capable cable to your AV Setup (you can use any available HDMI Input, all devices will “talk” to each other via the HDMI bus). Devices involved such as your TV, for instance, need to support HDMI CEC, which is a standard nowadays. HDMI CEC needs to be enabled in the settings of the Nvidia Shield. Most modern TVs offer the option to keep HDMI CEC active but disable the automated power syncing anyways. If you have that option available, this is the recommended setting. If you don’t have the option mentioned above, we recommend disabling HDMI CEC on your TV. HDMI CEC commands are still passed through. Your Nvidia Shield needs to be running the latest release (7.0.0 or higher). For those of you who would prefer a Bluetooth based driver: Don't worry, releasing an HDMI CEC based driver does not mean a Bluetooth driver is not in the works! So let me share some insights on the current progress with you all. We care about doing things the right way. As many of you might have experienced already, "universal Bluetooth" does not exist. There are many different versions and while they all are said to be compatible in some way, there are still huge differences when it comes to Bluetooth remotes. And in the worst case, an implementation is fully proprietary not following any standards. So - here is where we are at: I have seen more and more drivers running in our test labs, mainly based on Bluetooth LE. Bluetooth LE is heavily standardized, opposite to Bluetooth Classic being a hassle to implement. Still, the Bluetooth LE based driver for the Nvidia Shield is not ready yet, but we are working closely with Nvidia to get this up and running. So what are the next steps? We will publish an SDK example showing you how to create Bluetooth based drivers. Having this implemented, we are releasing new such drivers on a regular base - with the community invited to contribute as well, of course. Firstly, we are implementing standard Bluetooth HID devices. And this small number of drivers will allow direct control of thousands of Bluetooth devices with your NEEO. For now, enjoy Nvidia Shield TV control and let us know how the driver works for you. Nice work Patrick and team. I'll go and try it immediately. Hey Patrick, nice that you provide the workaround solution until now as the official solution now. But as you correctly wrote you sold Bluetooth support and not a wired CEC hassle (just saying AVR problems...). Please note that there is still the same request pending as before! Christoph BTW: Yes Bluetooth can be bothersome but only if you try to copy the controller of NVidia. Do it like everyone else: register as HID. If my Bluetooth mice and keyboard is working fine with Shield, there is no need to point to NVidia...it's just Neeo's problem. If my Bluetooth mice and keyboard is working fine with Shield, there is no need to point to NVidia...it's just Neeo's problem. Not too sure if you need help with something or simply pointing out an observation. In either case, let me know and I will gladly help :). Jeff Hi Jeff, I pointed out that my other Bluetooth hardware is working without any issues with NVidia Shield including my old Harmony that is connected as keyboard. So the resulting question is what NVidia should help here if they know others are working fine. Please let us know if this is kind of reference implementation. Sven Wiese-Solty Hello! As so long as your Tv supports CEC you will be able to use the Nvidia Shield driver and any other NEEO CEC based driver. Do you physically own a Nvidia Shield Tv? 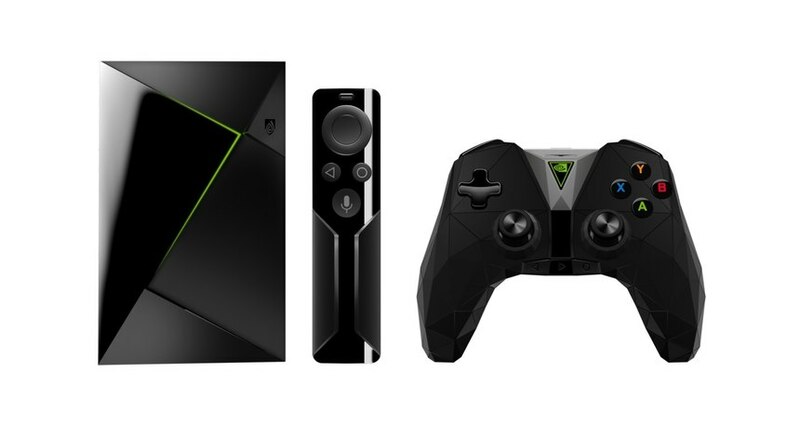 Jeff The NVIDIA Shield is based on Android TV. My idea was to use the NVIDIA Shield CEC driver for my Philips TV which is also a Android TV device. This could technically work, because Android provides a CEC impelmentation through the Android TV Input Framework (TIF). It depends on the hardware vendors if they use this or make their own implementation. So lets say you have a CEC driver that works with a Android TV device that use the TIF CEC implementation, then this driver would work with every Android TV that uses this implementation as well. Sven Wiese-Solty Yeah the driver that we created is for the actual physical Nvidia Shield Tv :). 1) Compared against my IR receiver, arrow key navigation is extremely slow. Rather than being able to quickly scroll down a list by holding down a button, it seems that through CEC it's lots of individual keypress signals that are spaced too far apart to allow the fast scrolling to kick in (I'm testing this through my Kodi setup). So list scrolling is done very slowing (3-4ish list items per second). Press-and-hold commands don't work either for the same reason - commands are too far apart to be distinguished as a hold, rather it's just multiple, separate clicks. I'm curious to hear how much control you guys have over the signal timing vs. what the CEC spec / my TV allows. 2) I've mentioned in the past that I experience problems with lag when releasing buttons after fast scrolling before on my shield via IR, and that lag is even worse through CEC. When trying to fast scroll down a list, after I release the button there's a good 1-2 second delay before the shield stops scrolling. There does seem to be a slight delay when I first press a button as well, so it's possible that items are being queued, but there just seems to be some sort of delay introduced somewhere that makes scrolling through lists infuriating. (I've learned to live with the lag seen when using IR, but the CEC lag is just too much). Hopefully these items can be tuned down the line and CEC becomes a viable replacement for the IR dongle. If I'm the only person that has these issues, I'm curious to hear from everyone else as well. Yes, this approach is extremely unreliable. It's extremely slow, takes about 5-7 seconds to select next item. Sometimes when I select the Nvidia Shield scenario, it turns on my tv, amp and Nvidia shield, sometimes it turns those 3 on then turns off the Nvidia shield again and no way I can use the OK button on the remote to turn it back on. Please put some resources towards reliable fixes for known problems like a reliable bluetooth driver for the Shield, Nest support, reliable Sonos control when a Sonos bridge is connected, ... instead of just adding new stuff. Kimberly Static Frederik Vancoillie Thank you guys for your feedback. I will be sure to report this to the team. In the interim can you guys reboot the NEEO Brain and Nvidia shield to see if this helps improve the performance? Jeff Hey Jeff, restarted everything, doesn't work. Nvidia Shield doesn't turn on, response time (after pressing OK on the Nvidia Shield remote to turn it on because OK on NEEO remote doesn't turn it on) seems to be better after restarting. All in all, CEC is easy to implement but wonky at best. Bluetooth is the way forward!! Frederik Vancoillie I agree :). as Raphael mentioned this does not mean we are not pursuing the Bluetooth control. We're working closely with the Nvidia Team to get this going. So, you press the menu button on the NEEO Remote and it acts as a menu double tap? Anyway you can show us with a short video of what this means so I have a better idea? Frederik Vancoillie Gotcha! I will report this to our team :). I'm also seeing the same issues with response speed. Several seconds elapse between button push and action. Just to get it working I ended up turning on all HDMI cec options then power cycling everything. I'm going to go back through one by one so I can at least figure out the minimum options to get it working. Can anyone clarify the exact cec setting to use on the shield? All of those don't seem to be what I thought I should enable. Shield software version 8.0, Android TV sw version is 7.0.2. Tyler Hi Tyler. Can you please delete the Nvidia Shield Tv and then re-add it? Also, did you already have it added (IR controlled) and simply added the CEC version after the update? I have been using CEC control via my Samsung TV and through Onkyo AVR with limited results. Up/down/left/right/select worked, but these only. Anything else like menu, back, long press, etc. did not work at all. Now with the new release and hdmi control config, all functions are live but everything happens twice with each press. So if I press a button once, it acts immediately and then 2.5-3 seconds later, acts again. Anyone else experiencing this? Brandon Mears That's one of the main reasons why I don't use HDMI CEC at all. I had the same experience with my PS4, it was unusable. HDMI CEC is buggy, it's laggy and it messes with your system when you have more then 2-3 devices that need to be controlled. My advice: Keep your fingers from HDMI CEC, this is just a half baked solution. Wait for Bluetooth support or bite the apple and buy a FLIRC IR dongle. Brandon Mears Hi Brandon thank you for reporting this to us. Can you delete the Nvidia Shield device and re-add it? Let me know if this helps solve the lag issue. Brandon Mears Hi Brandon, can you confirm that CEC is enabled for all your devices? Also, do you get the same results if you use a different HDMI cable? Can you provide me with your NEEO hostname? This can be found in the settings under the about section. Jeff I got quiet about this because I got a new AVR and everything started working pretty well. I figured it was just HDMI compatibility or something. All was great until yesterday morning and the same issue I described above 4 months ago came back. I am 100% sure no configuration changes were made on my end. Did a software update roll out in the last 48 hours? My hostname is NEEO-308c544c. Oh, what's up with Bluetooth so I can ignore this CEC nonsense? Brandon Mears Thanks for the follow-up and sorry to see this happened. If you remove NEEO from the equation, do you get the same results? What if you disable CEC? Jeff So you have all the info, here are my (relevant) components: Samsung UN65JS8500 (CEC off), Marantz SR7012 AVR (CEC on), NVIDIA Shield TV (CEC power options all off), NEEO brain connected to Marantz AVR via HDMI. This is the configuration that has worked fine since I got the Marantz mid November. I did go in and play around with turning CEC on and off with different devices and I either got no response from the remote or it "sending" each command twice per button press. But I have not taken NEEO out of the equation. It is my understanding that having the NEEO brain connected to my AVR is the solution for now, where the NEEO remote controls the brain, and the brain controls the Shield via CEC. Before the Marantz was introduced, I had an Onkyo NSR828 which yielded the same results when using CEC control via the Samsung TV. For what it's worth, the only other components I currently have are an Xbox One S, PS3 Slim, and Wii U. Please recommend how CEC should be set on my components, as well as sharing any updates that may have been rolled out in the last week or so. You can also share the status of the Bluetooth software release if you want, too.... Thanks! Brandon Mears OKay thank you. So, I suggest removing NEEO from the equation to see what happens. Let me know if it makes a difference. No firmware updates since 51.13. Nothing has changed on our end and nothing with Bluetooth. Jeff I'm confused on what you are trying to get me to accomplish. The issue is that the NEEO remote used to control my Shield via CEC. Now it behaves funny and is unusable. The Shield remote works fine either way. If I remove the NEEO I can't test the NEEO! If I remove the NEEO my only options for control are the Shield remote and CEC via my Samsung TV. Brandon Mears My apologies, I was totally confusing this with another issue. The lag is what you reported back in this thread. If that is the case again, what steps have you taken to try and resolve it? Have you deleted the Nvidia Shield device from NEEO and re-add it? Have you performed a full reset on the NEEO to see if this helps? Jeff Well the problem is gone. Here is what I did..... I deleted the nvidia shield tv from my devices. But then i couldnt get it back! The neeo app couldnt find my device on the network. Then i went to the cloud backup and rolled my configuration back to 12/3/2018 and now it all works fine. Not sure why this worked but there you go. Cant wait for bluetooth!!! I honestly don't understand why you would waste precious engineering time on a HDMI CEC "solution" when everyone is waiting for Bluetooth? You launched in January 2015(!!! ), where you advertised Bluetooth capability and yet, you still haven't implemented one single Bluetooth device. What's the status? Has Nvidia helped you? Where is the standard Bluetooth HID device driver?